If you've ever been climbing or walking at the Roaches, you'll probably have seen the Don Whillans Hut, carved into the very rock itself. This unique hut is owned by the BMC and, as Dave Bishop explains, has a long history. The most comprehensive guide to the history of the area is ‘Swythamley and its neighbourhood. Past and present’ Philip Lancaster Brocklehurst. The Silk Press 1998. Ref: 942.461 in The Nicholson Institute Public Library, Leek. Quotes from this book are in italics in the text below. Philip Brocklehurst was the last of the Swythamley family line, landed gentry, and owners of the original estate, which came up for auction in the late seventies after his death. What is now the kitchen area of the hut was the original cave where Bess Bowyer lived until the early1800’s. The cave dwelling called Rock Hall was until some score of years ago, occupied by an old crone of great age known as Bess Bowyer. Here, in the large natural cavern, she lived for nearly a century, an immense mass of rocks having so fallen as to form the roof, sides and entrance. This she divided into two compartments, one for day and the other for night, and through which flowed a small ice-cold stream of water. In her weird bedroom was a secret outlet,. Conducting among the wild crags at the back of the dwelling, and through which she assisted smugglers and deserters to escape from soldiers sent to capture them. A young handsome girl, her reputed daughter, lived with her, but about whose history much mystery and doubt existed. The girl had a fine voice and could be heard on summer nights among the rocks singing sadly to herself songs that sounded foreign to English ears. One winter morning the hag was seen in great distress. Strange men had seized and carried off her child. The daughter never returned and at last the supposed mother was herself discovered dead in her lonely home. This Bess Bowyer was a descendant of ‘Bowyer of the Rocks’ a noted moss-trooper. One of the, probably by now unprovable, definitions for Doxey’s Pool on the Skyline area of the Estate, is that it is named after Bess’s daughter. A later theory is that Doxy Pool (note the change) took its name from a particularly prevalent type of predator of medieval times, the woman tramp, fortune teller, curer of children’s’ and women’s’ ills, and chicken stealer, generally known as a Doxey. They all have the ring of truth about them, don’t you think? Oh! And if you can explain why this Pool on the ridge never dries out completely even in the occasional hot droughts let me know. Rockhall Cottage, albeit in a more primitive form than today, without mains water or electricity or drainage, was built in 1862 as the gamekeepers cottage for the Roaches area of the Swythamley Estate. The last gamekeeper to live there allegedly brought up a family of twelve children in the cottage. Even today, if you know where to look on the estate you can find the gamekeepers’ hideouts where they used to lie in wait for poachers on Brocklehurst’s behalf. It were a ‘ard life in them days. You can imagine therefore, the problems in the early years of climbing pre the 1914-18 war and in later years of gaining access to the rocks and dodging the keepers, but nevertheless people persisted, succeeded, and their climbs are recorded in the BMC guidebooks as living proof. If you do book the hut have a read of the letter from Sir Philip Brocklehurst to a Miss Mary Glynne from Oct 1932 that is on the wall by the fireplace in the hut, it is a copy and the original is owned by the Peak Park Authority. It is doubly interesting, for the facts that it is a woman who is seeking permission to climb at the time and for the attitude to land ownership that is still widely held today in the 21st century in these so-called enlightened times. Just continuing the access theme for a moment, for a time in the inter war years, that is the first and second world wars and not any of the multitude of other ones before or since, it was possible to visit Ludschurch and the Roaches on payment of 2d old money at Manor Farm, Gradbach. What is that in new money, less than half a pence, but a big chunk then of any spare cash for ordinary folk.There are still a few landowners around who would like those days back of charging for access in the name of ‘making money’, as well as others who resolutely refuse access of any kind to their land to the public. It seems you can die for ‘freedom and country’ but you can’t walk over it before you do. Amongst the spring boulders, called that because it was where the water supply was situated and not because it’s a good place to boulder in the spring, which it is, you can see holes bored in the sides of large square boulders. These were made especially to hold a tent at the time of the famous visit of H.R.H. The Princess Mary of Cambridge and The Prince Teck her husband, on 23rd August 1872. Another flat boulder nearby bears anchoring marks for a single cannon also fired to mark her visit. She must have been quite important even in those days and luckily for the future King George V the cannon missed her and one of her daughters later became his Queen Mary. The occasion of their coming was to grace with their presence a picnic given by Mr Brocklehurst of Swythamley at his moorland shooting lodge. (The Whillans Hut/Rock Hall Cottage). Rock Hall is situated in the midst of the wild romantic crags and rocky precipices of the far-famed Roaches. Flags floated in the breeze from different prominent positions. The royal standard waved conspicuously on the verge of the third summit (above Teck Crack). Tents had been erected, one of which, having two huge pieces of rock forming the gable ends, the interior decorated with pink and white heather and carpeted with the skins of wild animals, was especially dedicated to royalty. The Roach, ascended by the royal party, has as it were four divisions or summits which can be reached by means of a circuitous route up a flight of steep steps cut out of solid rock. Facing the edge of the rock on the third summit, and immediately close to the royal standard, was the seat of honour for Her Royal Highness. Constructed by a huge hollow being hewn in the rock, in the hollow cushions were placed, the surroundings being covered with white satin, embroidered with the royal arms, and guarded round the face of the rock with a slender chain. (Eat your heart out all you belayers at the top of Teck crack). The Royal party then proceeded on foot after a circuitous route- a route which it was evident within the past few days had undergone considerable alterations to render it safely passable- among the living rocks of the far-famed Roaches their Royal Highnesses and the distinguished party arrived at what we may call their destination, the third summit of the Roach. A later episode of local history owes more to infamy than fame. In the 60’s Ian Brady and Myra Hindley, the Moors Murderers, were in the Roaches area and a photograph clearly taken from the spring boulder area looking towards Hen Cloud was found in Myra Hindley’s possessions after she died. One of the persistent rumours surrounding this infamous pair is that their photographs often contained clues to the burial sites of their victims. Police have dismissed the possibility of any victims being buried in this area. Nonetheless the pair was here. As mentioned previously, the Brocklehurst family line died out in the 70’s and the whole estate was put up for auction. This was the time when Doug Moller, self-styled ‘Lord and King of the Roaches’, and Annie bought Rock Hall Cottage. Initially, much of the rest of the estate, most of which is now owned by the Peak National Park, was bought at the same time by some sheep farmers from the Macclesfield area who proceeded to overgraze it and seriously try to prevent access between 1977 and 1980. Early in the 80’s the Peak Park was at last able to buy a significant part of the estate, albeit for more money than a few years earlier, and this secured public access as well as an unwarranted capital gain for the sheep farmers. Most of the estate, except for the hut and garden, now falls within the ‘Open Access’ provisions of The Countryside Rights of Way Act 2002 although for all practical purposes the hut garden area is used as Open Access and the British Mountaineering Council (BMC) and Peak Park both support this. Doug and Annie bought the cottage to escape from noise and other negative aspects of modern life and to live close to the nature they both loved and valued. The obvious clash between those wishes and the objectives of climbers and walkers visiting the estate led to several confrontations in the early days, not helped by the inconsiderate and insanitary behaviour of some climbers. They pissed in Doug and Annie’s water supply area, would you believe. Thankfully, after a few dramatic and legendary differences of opinion, those days passed and Doug and climbers established a way of living together that worked. Indeed Doug became something of an expert at advising climbers new to the area on how to do certain routes on the Lower Tier, whether you wanted or needed the advice mattered not, you got it loud and clear. In the garden area, the large boulder with steps cut in it also has a hole at the top. Doug told me that this hole was used by preachers who would climb up with a pole and stick it in the hole to steady themselves whilst they blew a horn to call locals to hear them preach. If you face the cottage and look left (north) you will see at ground level the original mounting stone for riders, used when stables formed the left hand end of the cottage. In the later years of their ownership the cottage began to deteriorate and the living conditions for Doug and Annie consequently worsened as did their relations with the Peak Park. At last, in 1990, the Peak Park found another acceptable home for Doug and Annie near Knotbury, a few miles away, that was remote and quiet and that had mains water, electricity, and toilets. There they lived happily until late November 2003 when Annie tragically got burnt whilst tending the fire and died of the complications within a couple of weeks in early December. Her funeral was well attended by locals and some climbers. Doug still lives in the house (2013) and I see him from time to time and he helps us on occasions as a ‘celebrity’ prize-giver at litter clean-ups and the like. And so to the BMC involvement with the hut. Quotes from this book in italics below. The Don Whillans Memorial Fund had started under my (Derek Walker) chairmanship in the autumn of 1985 and a series of lectures by Chris Bonington, Doug Scott, Joe Brown, and Nat Allen, plus a well-orchestrated ‘Buy a Pint for Don’ appeal, raised a substantial amount of money in the late 1980’s. The initial idea was to secure a permanent base or campsite in the Chamonix valley for British climbers, but after many visits and considerable investigation, this project was deemed just too impractical. Not enough money was raised for a property and the only possible campsite offered by the French authorities was found to be in a former avalanche zone. The failure of the Chamonix scheme was very disappointing but a second option, much favoured by Don’s widow Audrey and the Committee, was to have a hut in Britain dedicated to Don’s memory. Fortuitously, in 1990 the derelict and primitive Rockhall Cottage became vacant as the Peak Park Board re-housed the self-styled and legendary ‘King of the Roaches’ Doug Moller and his wife Annie into a modern property a few miles away. The Peak Park Board then approached the B.M.C. to see if a joint venture could convert the cottage into a climbing hut, they would provide the architectural planning, design, and building expertise while the Memorial Fund would supply the money. However, although over £50,000 had by now been raised, this was still insufficient to modernise the dilapidated ruin, but a further substantial grant from the Sports Council and support from the Rural Development Commission made the project possible and the work was carried out during 1992. (Approximately £106,800 in total). The site at the Roaches was especially apt as it was there that Don first met and climbed with his legendary partner Joe Brown and where he first met his wife Audrey. One of Don’s first great routes was, in fact, the Sloth which surmounted the spectacular overhang on the Upper Tier and astonished onlookers at the time. Audrey Whillans officially opened the Hut in January 1993 and a great many of Don’s former friends and guests crowded into the cave to drink champagne. It was a memorable occasion, worthy of the traditions of the cottage, the crag and the great man himself. Since then there have been a lot of bookings and many climbers have enjoyed that very special atmosphere of Rockhall Cottage. Derek Walker climbed frequently with Don and was for many years variously General Secretary and President of the B.M.C. From its inception in 1993 until December 2001 Derek also chaired the Whillans Memorial Hut Committee which organizes and maintains the cottage on a voluntary basis. In this he was supported by Dave Brown as Booking Secretary and Martin Trafford as Hut Warden, and their unsung and unseen efforts over many years helped to establish this location as a successful venture and facility for B.M.C. members and as a lasting memorial to Don and his achievements. Another vital factor in the continuing success of the hut has been the positive and mutually supportive relationship with the officers of the Peak Park both with regard to the hut itself and to their support for climbing access to the estate. The responsible behaviour of climbers and other visitors is vital to this relationship. (See Access and Conservation notes in the BMC’s Roaches guidebook). In January 2002, following a request from Derek Walker, I took over as chair of the Committee. Both Dave Brown and Martin Trafford also resigned at this time having given eight years of invaluable voluntary service to B.M.C. members and we acknowledge and record our debt to all three. Thanks lads. You can imagine, though, taking on the hut in those circumstances was a steep learning curve, not unlike being a long way above your last runner and climbing at your limit. Thus I was grateful for the initial help of Gary Cooper and later of Michael Hunt as Booking Secretary and Dave Cottrell as Hut Warden. Between us we unravelled most of the ‘idiosyncrasies’ of the hut and kept it working. Because of work pressures from his business Dave Cottrell resigned in February 2004 and was succeeded by Kevin Stapley as Hut Warden. In June 2007 I stood down as Chair and Michael Hunt took on the role. In late 2012 Michael himself stood down as Chair having seen through some valuable initiatives and improvements to the hut and has been succeeded by yet another Michael, Mike Battye, my old in all senses, climbing partner. These roles are all voluntary and quite time consuming, but they do have, and are grateful for, the support of a team of local volunteers who between them keep the hut in good working order and stocked with the necessary cleaning materials etc. Accounting is done by the BMC office staff and the hut is run this way to keep costs down and to offer an affordable service to BMC members and their guests. In 2001 we spent close to £6000 on improvements to the interior of the Cottage and we were only able to do this because the hut has proved so popular. Everything has to be self-financed and no drain on the BMC budget. The foot and mouth epidemic of 2001, however, caused an approximate drop in takings of about 50% on previous years as the Roaches estate was completely closed from the outbreak start in February until June, in common with many other areas. The Estate had to be closed as a local farmer had grazing rights for sheep on the area. We received no compensation. The BMC has since made representations to the Peak Park and the British government that there should be no repeat of such draconian actions. Bookings rapidly picked up again post 2001 as we citizens were allowed back into the countryside. In particular mid-week bookings have improved although weekends remain exceptionally popular and are often booked a year in advance and repeated year on year. In 2003 the front door which had rotted and the frame to the French windows were replaced. To reduce damage for the future an extractor fan in the roof of the cave which works automatically and replaces the old airbrick system and a de-humidifier have also been installed. It is much drier now in that area. Other maintenance and replacements have included the mains water pump, the emptying of the septic tank, repairs to the water heater, in 2012 the complete replacement of all the window frames in the hut and the securing of safe fire exits, and most recently a complete electrical survey. All of these jobs have had to be done by outside contractors with resulting high costs. So if anyone reading this has plumbing; electrical; decorating, or woodworking skills, and can offer them to the service of the hut on a volunteer basis we would be glad to hear from you. Very occasionally we get requests to use the hut as a film location, one of which was an episode of Dalziel and Pascoe filmed in December 2002. Ironically they turned our expensively restored kitchen area back into a ‘cave’ would you believe. In 2012 the BBC used the hut as a base whilst filming for a childrens’ TV special. If filming does not interfere with members use of the hut we will continue to generate revenue in this way as it can be a ‘nice little earner’. In recent years, thanks to the efforts of Michael Hunt, we have been developing the use of the hut for those with ‘special needs’ and whilst we cannot cope with all ‘needs’ we can certainly cope with many and it is a joy to see the fun and adventure being had in this special location. 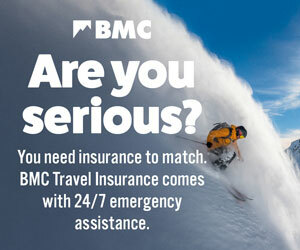 Nevertheless BMC members use will normally take priority. In our contract with the Peak Park we are responsible for the overall maintenance of the hut and grounds whilst the Peak Park pays for and maintains the structure. Both the hut roof and the transformer building roof were badly damaged in 2006 by vandals, so if you see anyone with stones in their hands and looking keen to throw them, then you know what to do. It is worth recording here our thanks to all those who use the hut and leave it in good condition. If we all take good care whilst using the hut we can reduce the maintenance workload and costs. That way we don’t need to put up the hut fees year on year. The Peak Park also plays a useful role here as they demand no rent even though they are entitled to 50% of any surplus. They are glad that this Grade 2 listed building is both useful and cared for. So thanks to you all. In 2006 the Peak Park initiated a ‘Property Asset Review’ whereby they have made available most of their property assets for disposal to appropriate buyers/managers/lessees. The BMC proposed to the Peak Park that we should be allowed to buy the hut in order to secure our future there but this was refused and the hut was included together with the whole Roaches Estate in one package for sale or lease. In November 2012, after public competitive tendering, the Peak Park made the decision to lease the Estate, including the hut, to The Staffordshire Wildlife Trust (SWT) from May 2013 for 125 years. This means in effect that our lease on the hut which runs until 2043 will now be managed by the SWT as our immediate landlords but that the Peak Park retain ownership of it as our superior landlords. The BMC is currently (2013) in discussions with the Peak Park to secure the future of our lease of the hut beyond 2043. Relations with the SWT are positive and we will be working closely with them and the Peak Park to promote the recreation and conservation objectives for the Estate including drawing up a management plan. SWT also own the land on which Gib Torr and Baldstones are found. Progress or otherwise in regard to the hut and Estate will be publicized on the BMC website. Finally a word about how Doug is these days. He’s still living in Knotbury (2013) where he and Annie spent their last days together. He’s not so well himself but he still walks from Leek to Knotbury (10 miles over the moors) on a not infrequent basis and writes a polemical letter to the editor of the Leek Post and Times now and again. Thank goodness for characters and strong ‘off the wall’ opinions and behaviour. In the wake of an important archaeological discovery at The Roaches, we take a look back at historic hoards found in the UK’s hills. Between 22 September and 6 October, you can read about all of the projects short-listed for funding from EOCA (European Outdoor Conservation Association) and cast your vote. Yesterday, mathematic modeller Sophie Whyte and primary school teacher Lindy Smith overcame the heat wave, Ramshaw Crack and 500 metres of feisty climbing to complete the Staffordshire Gritstone Challenge: a climbing adventure of a deeply traditional style. Their reward? A scotch egg. Mary Glynne was a really well known climber and one of a huge range of women at that time.It wasn't unusual at all. How much does it cost per night to stay at Whillans Hut?